Researching and understanding your audience’s needs and intentions will help guide your keyword strategy and content creation so you can provide the best information for your prospective customers—and search engines. If you were searching for your product or services, what information would you be looking for? What would you search queries contain? What are your pain points? How can this product or service help address those pain points? While keyword stuffing used to be a common and acceptable practice, that’s no longer the case. Keyword stuffing adds nothing to user experience, and as robots become more advanced, your risk of being penalized for following such practices increases. All of the items below are essential parts of on-page SEO basics. The content for each should be unique and incorporate the keywords appropriately. SEO Title: Your page title should be no longer than 70 characters and should have your target keyword as close to the beginning as possible. H1: The H1 (headline) tag tells search engines this is the most important headline on the page, and it’s also a visual cue to readers. Just one H1 should be used on each page. Image alt tag: Describing the image is incredibly important. Search engines can’t see the image like humans. It’s certainly ideal to get your keyword in here, but don’t force it. URLs: Shorter is better here, and make sure to include your focus keyword, too. URLs are visible in search results and could impact whether users click through. Body copy: Include the target keyword at the top of the page and at least two or three times throughout the rest of the copy—including variations of the keyword. If you drive users to your content with one promise, and then don’t deliver when they reach the content, you’re creating a very bad user experience. Any text—keywords or otherwise—included in the title, meta, H1, image alt tag or URL should accurately describe what a user will find when they land on your page. #5 – Crosslink. Crosslink. Crosslink. Avoid large blocks of content. Utilize bullets and numbering for lists. Use H2 or H3 tags as subheads to further break up content. Bold or italicize words or phrases to make key points stand out. If you’re sticking with all the other guidelines above, this shouldn’t be a problem. Keywords and keyword variations will naturally occur throughout the body text, the content will be visually appealing and easy to read, links will help guide users to other areas of your site and search bots will be able to easily crawl the page. 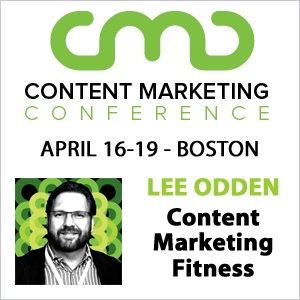 What it all comes down to—as TopRank Marketing CEO Lee Odden would say—is ”Being the best answer.” Your content should provide the best possible information to your audience. And having that content optimized to today’s SEO standards will allow search engines to deliver those pages to your audience. What are your biggest challenges for creating content that’s full of SEO, but also great for users? Share your thoughts in the comments section below. Great content here. Posting with a purpose. Nothing beats organic traffic being driven to high quality content. 🙂 Thank you for sharing! Keep it up! … and none of the above is difficult. Yet SEO sharks STILL operate in these waters, conning clients about the specialist complexities of on-page SEO. Thanks for a solid balanced approach to optimization that includes the human factor. You are more than welcome! I’m glad you found this useful. Great post Caitlin and thank you for the guidance and tips! any examples for cross links? A good example here would be calls-to-action. Every page should be telling your readers what they should do next — whether that’s reading another article, visiting a product page or filling out a contact form. Depending on the type of content you’re creating and where it lands in the sales funnel (attract, engage or convert) you should be including a CTA that brings users to pages that will continue to lead them down the funnel. Links are also how search engine bots crawl your site and discover the content you have, so cross linking is definitely good for both users and search engines. Does this help? Thank you, greetings from Slovakia! Useful tips, thank you for sharing, Caitlin. Thank you for sharing, Caitlin. especially the first one, “Put Yourself in the Mind of the User”, really useful. I agree with your article Caitlin, I came to a conclusion not too long ago that SEO is now widely adopted as one of the major online marketing strategy when done properly can send targeted audience. The seven ways you discussed above is a must read for all serious blog owners. We’ve been burned by three different SEO “experts” since Panda and Penguin killed us. However, we DID get our website converted to WordPress so at least THAT was good for us. But we’re still not ranking like we did on Google Page One for all our keywords, etc. We’ve spent almost $25,000 on these carnivores and been badly burned and we are now SO leery and suspicious. Too much to learn but I know I have to add content and authoritative pages that are named properly. I can’t find QUALITY content/article writers and WordPress SEO people for help with our niche IRS wage garnishment service. Where ARE they? Who are they? True. User experience must be the focus of web content optimization. Producing more content full of key word stuffing is not only enough but making it engaging and visible to your targeted audience. Although keywords are still vital that needs to be researched to determine what language users use most often when discussing topic matter of your content. It helps to rank a piece of content but it should not dictate what you write, user’s needs must be the goal. Moreover, there must be quality, uniqueness and relevance in creating a content that creates urgency and builds trust. Thanks Caitlin for sharing this! It’s a great topic! Indeed an informative post, Well quality content is always the first preference of major search engines. So, its important while creating our content one must follow all the above mentioned guidelines. 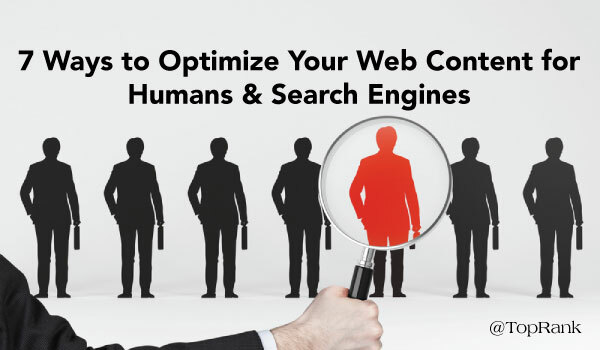 Because by using these things in right way one can easily optimize our content for humans as well as search engines. This is a good source for SEO, especially for SEO beginners like me. Thumbs up!